I bet you’ve all been waiting on pins and needles to hear the winner of the Giveaway Drawing for the brand spanking new loom by Authentic Knitting Board, the ‘Rotating’ Double Knit Loom, am I right? 😉 Well, I am here to tell you who that lucky person is! Feel free to download the pattern for the Loom Knit Garden Tote right here. This pattern is also listed at Ravelry, so make sure to give it some loomy love over there and link it with your own projects, so that we can all enjoy the variations that you come up with! 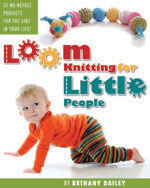 Now, without further goings-on, I’d love to announce the winner of the drawing for the new Double Knit Loom! “Looks very interesting! I love working on my lap, but always need a pillow to raise up my WIP. I don’t understand why the pegs on the inner loom face backward? Thank you all, and happy looming to you, with all those new KB looms at the ready for your creative fingers! This entry was posted in Contests, Free Loom Patterns, Giveaways, Loom Knitting, Looming Patterns, Looms, New Projects, Product Review, Ravelry and tagged Authentic Knitting Board, Bethany Dailey, Contest Giveaway, Free Loom Knitting Patterns, Gettin' It Pegged!, gettinitpegged, KB Looms, Loom Knit Garden Tote, loom knitting, loom knitting patterns, New Product, Rotating Double Knit Loom. Bookmark the permalink. 10 Responses to Everyone’s A Winner! I am disappointed I did not win the loom but….. I love your pattern. Thanks so much!! I’m sorry you didn’t win, Terry, but…I’m so glad you like the pattern! 😀 Cheers! Congratulations, Bob! And, thank you very much for the free pattern!!! What a pleasant surprise! This is amazing. BIG THANKS! Guess I will have to put my blanket WIP on hold to give this baby a spin, so to speak 🙂 I guess this bag would be a good start. Thank you for the free pattern. I didn’t win this time….maybe next time! Bob: Haha…give this a spin, lol! 😉 I’m sure you will be able to create all kinds of goodies with this new loom! Congrats again! Congratulations, Bob!!! I’m so very happy for you!